Happy March people!! Every month has its holiday that defines it and I think we all know March = St. Patrick’s Day! I love st. patricks day purely because I have such fabulous memories of walking downstairs that morning as a kid and seeing that the leprechaun had come in and flipped over all the furniture and turned all the food green! The milk was green, there were green bagels – IT WAS A MAD HOUSE. And it was so incredibly fun and exciting. Looking back I can’t believe how much effort my parents put in to making the day special but I cannot wait to do it for my kids someday. 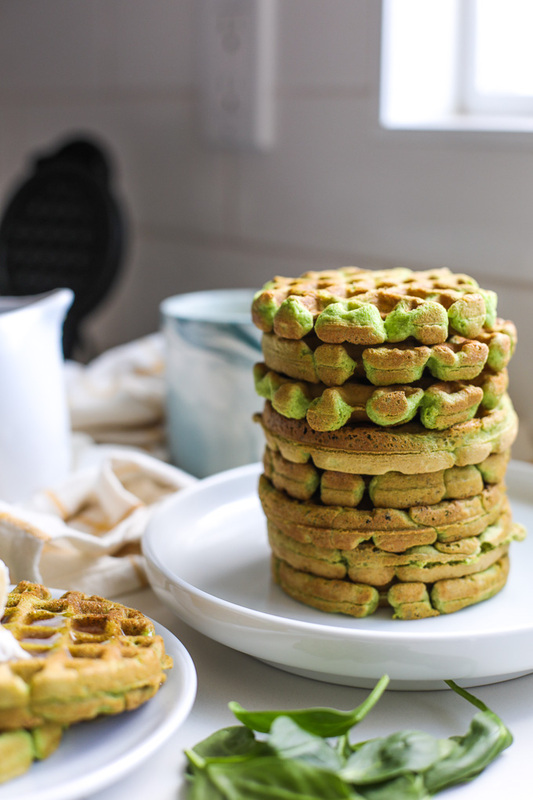 That tradition will probably always include these Spinach Almond Flour Waffles! The spinach adds nutrition of course but most of all it adds green and makes me feel like Mr. Leprechaun walked right through the batter. 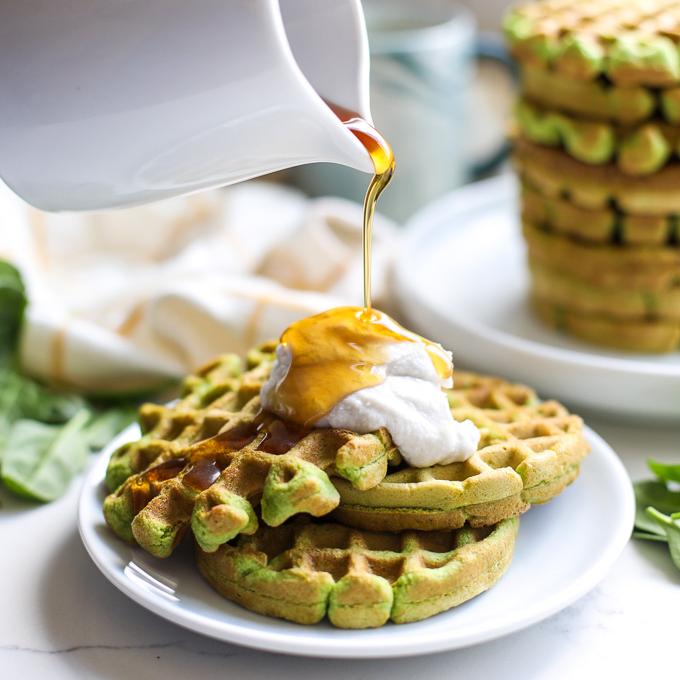 I made these a couple of weeks ago and made each of them with my little mini waffle iron so I could freeze them, then easily pop them in the toaster for a quick week day breakfast. 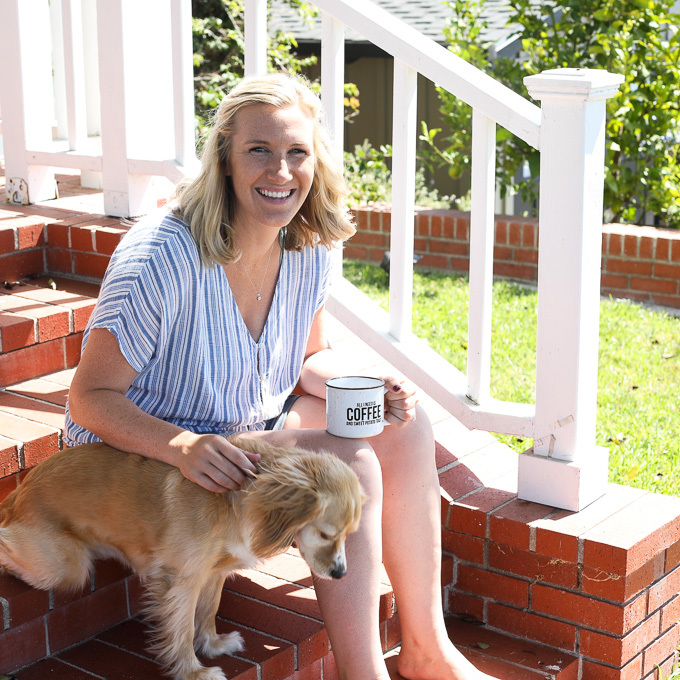 If I am having these midweek, I like to toast one and top with nut butter and banana, but if it’s weekend time, I am all about the coconut cream + maple syrup like pictured here! The outside should get a bit browned but when you bite in you will see that super vibrant green color!! Also, who decided maple syrup should go on waffles and pancakes? I want to give that person a big old hug. 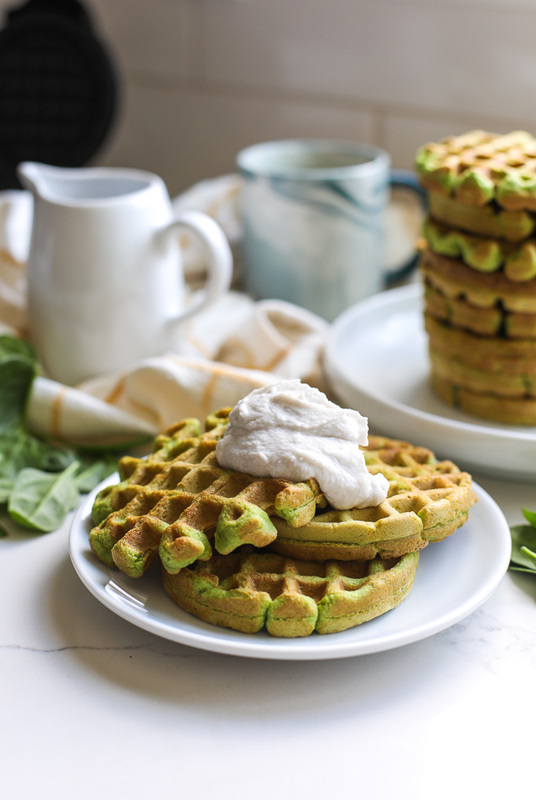 Pin the photo below to save this Spinach Almond Flour Waffles recipe for later! Add almond milk and spinach into a blender and blend until spinach has broken down and almond milk is green! Add all of the remaining ingredients to the blender and blend until completely combined. Turn on your waffle iron and once hot, spray with some oil spray to grease. 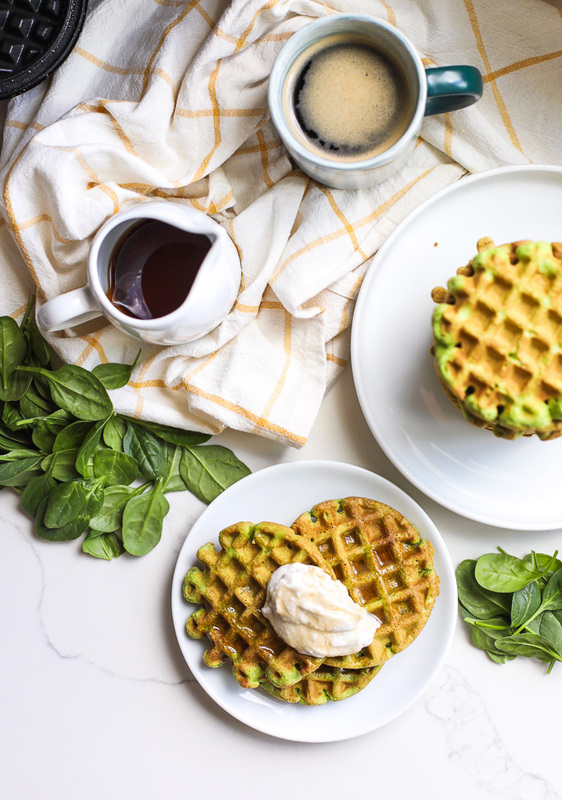 Fill your waffle iron appropriately for its size and cook according to your waffle irons instructions or until the waffles are lightly browned! 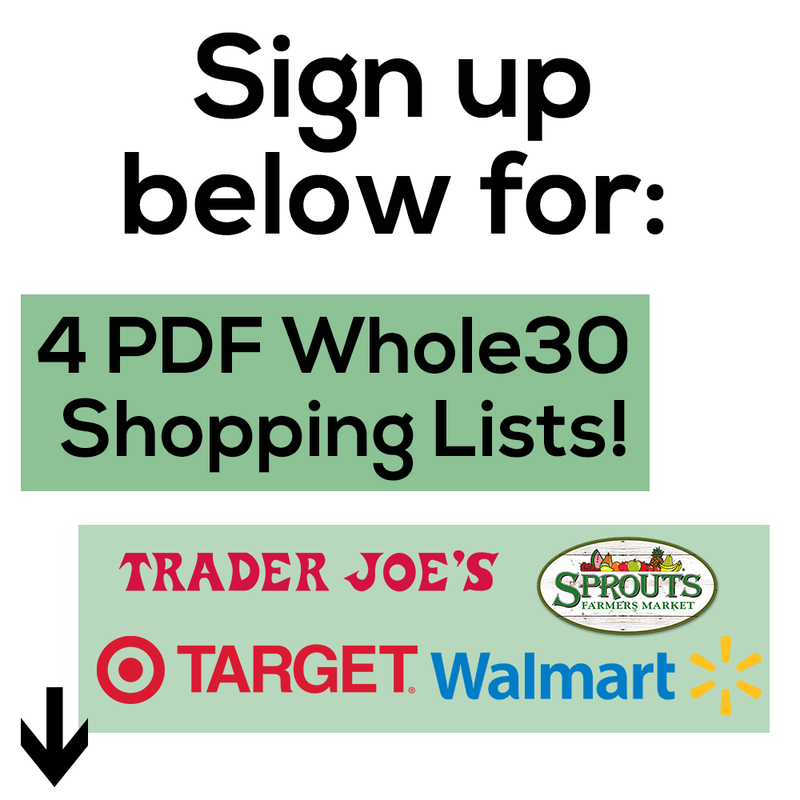 Can you use all almond flour if you can’t find arrowroot flour? I haven’t tried it that way but the arrowroot really helps the texture! I saw on instagram that you froze them. 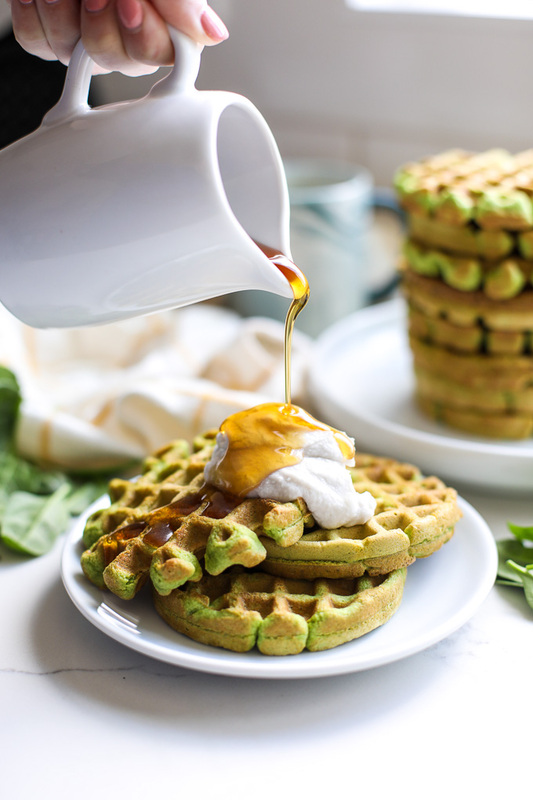 Once you freeze the waffles, how do you cook them and do you thaw them? Thanks! Can’t wait to try these! Once frozen I just pop them in the microwave to cook them! Do you think you could use applesauce to replace the egg? I would love to make these for my son, he has an egg allergy. I haven’t tried that! Maybe a flax egg? Can you sub the arrowroot with tapioca, given they are both starches? I haven’t tried that but feel free to comment here if it works! Warning: taste these before adding syrup. They are AMAZING even plain! And that’s coming from someone who could drink a bottle of syrup. Kelsey, idk how I found you, but I’m so thankful. 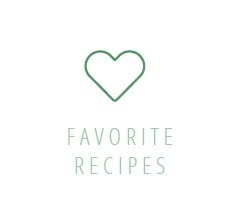 Every recipe I try is better than the last. 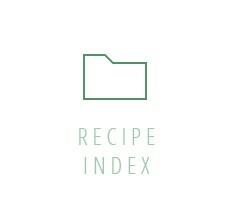 Would kale taste too strongly for this recipe? How many does this make? What is the prep time and cook time also? Thanks. I’m not sure what I did wrong but I followed this recipe & they were super dry & didn’t rise. Only way we could eat was with LOTS of maple. Such a shame as they sounded & looked good. So sorry about that, not sure why they didn’t work for you!